We embark at the port of Vis city and head to our villa in Kut, a particularly charming side of the harbour with peaceful winding streets only enlivened by the occasional cat, or scooter pootling past. Restaurant Vatrica proves to be a relaxing place to watch the world go by, and a great vantage point from which to watch the yachts dock. 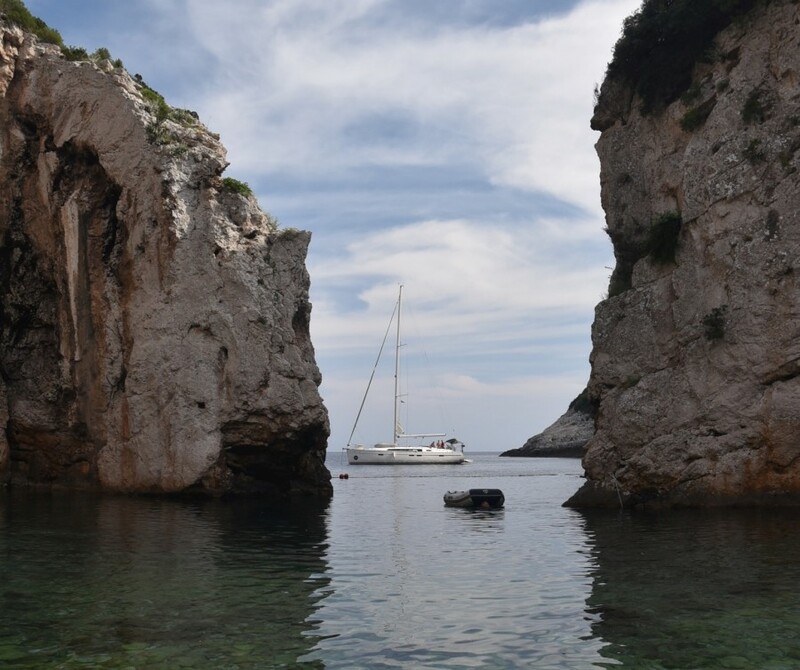 Many well-heeled groups choose to stop by Vis on their travels and frequent the bars lining the seafront. 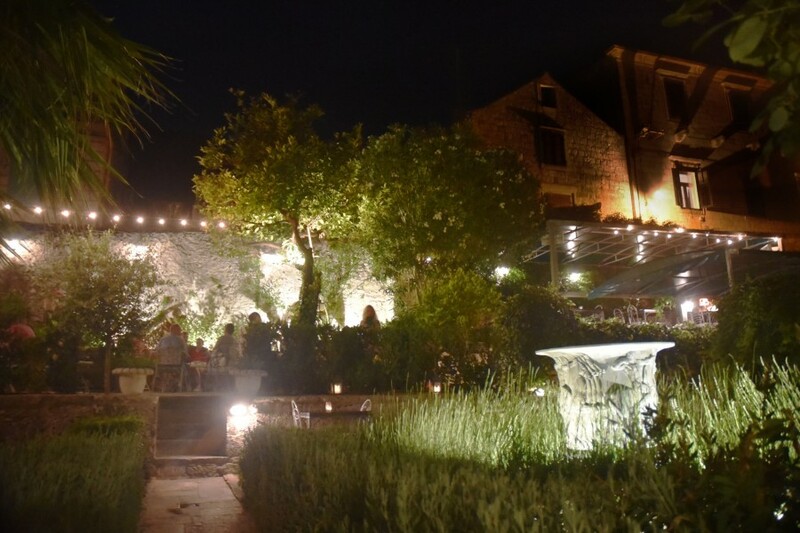 We find the best bars slightly further afield: go inland and seek out the secret garden that is Lola, a charming and Spanish-owned restaurant with several levels of walled garden that was a favourite with the cast of Mamma Mia! Here We Go Again, which filmed here in 2017. Another find is Fort George a classy nightclub/bar on a clifftop with jaw-dropping views of the Adriatic ocean – come here for a sunset cocktail. Day two is for more adventurous exploring, so we head over to the gorgeous inlet of Siniva Cove, accessed either by boat or a steep and rocky scramble down the cliff, something that’s done very much at your own risk, as the signs warn. 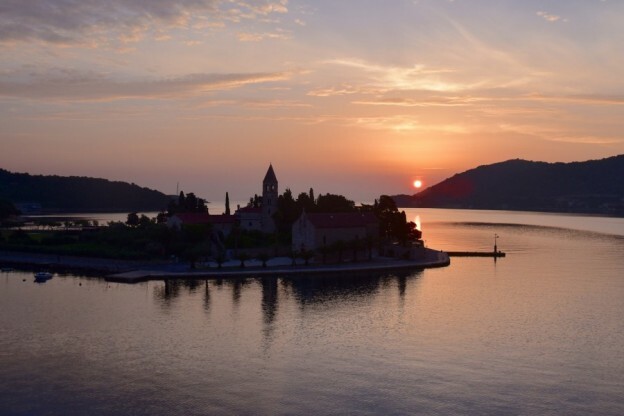 We reckon it’s worth it for the calming view and the quiet dip before we head to Komiza for a speedboat tour to the Blue and Green caves. Locals have been swimming in these caves for many years, but they’ve recently become so popular that in peak season, you need to take a ticket and stand in a long line to board the separate boat to the smaller Blue cave. 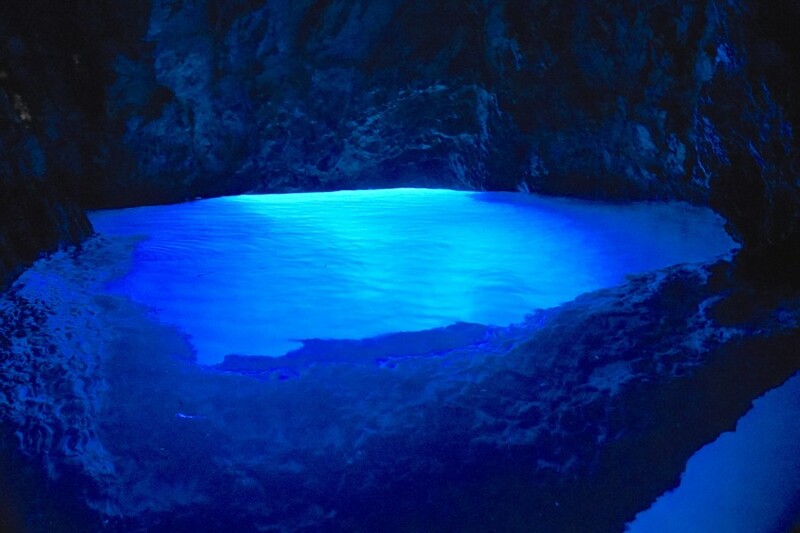 Luckily, we’re here just out of season (late May – still warm and sunny), so we are treated to a private tour of the Blue Cave, ducking our heads as the small boat takes us into the mouth of an extraordinary natural light show. The larger green cave is longer boat ride away – a few tourists are enjoying a dip as we marvel at the green lights darting on the water, created via a hole in the roof of the cave. 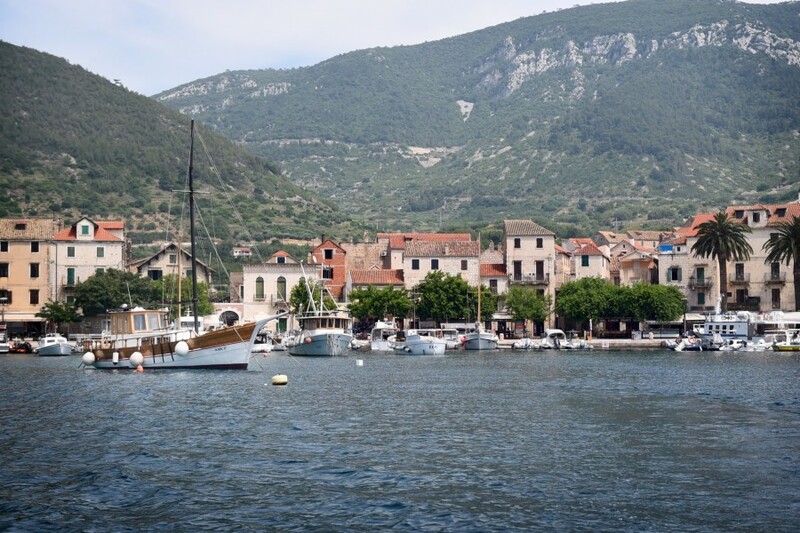 It’s a magical trip and we’re pleased to have time to relax in Komiza afterwards. 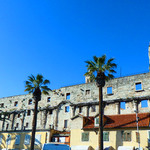 The city has a different flavour to Vis – a different style of architecture and also perhaps more relaxed, with no shortage of cute, if world-weary, street cats. Airlines including EasyJet, British Airways and Jet2 fly direct from London to Split. Ferries to Vis.